Our emotions impact the human body more than you think. One of the main impacts to the human body’s organs is not just the physical activity such as exercising or a eating healthy, but through our emotions. As humans, we encounter various emotions through out the day. These emotions can make a major impact and determine how our organs responds or reacts to certain situation. Visceral Manipulation is one of the best ways of optimising our organ functions. Each organ has a specific movement pattern when it is healthy. Any injuries or emotional traumas, organs lose some important motion. 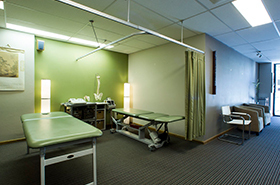 Visceral Manipulation therapy will help enable organs to regain or improve mobility. This is done through gentle and precise pressure and movements. How do our organs mobility determine how we feel. Organs lose mobility through lifestyle, physical trauma, surgery, infections, bad diet, pregnancy, pollution and much more. The therapist must first find visceral fixations by first analysing the problem and then determine why the organs are not moving optimally. For example, say you experience frustration dealing with a situation. By your reaction, your stomach become irritated and your brain will receive combination of psychological and physical information. This tension around your stomach can be released through Visceral Manipulation. The time it takes to see results varies depending on the symptoms and length of time experiencing these symptoms but using within a few session, you should expect to feel some results. At MyPhysioFx, we are only a few practicing Physiotherapists that use the Visceral Manipulation technique to help solve the entire body. 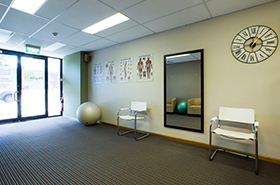 Based in Chatswood, our practice is based on the philosophy of ‘we only assist when you feel you need us’. We do not place patients on regular treatment plans.